A dozen stealth US Air Force F-35As along with 300 airmen are slated for a six month deployment in Japan starting in early November, the Air Force announced Monday. The squadron will relocate from Hill Air Force Base in Utah to Karena Air Base on the island of Okinawa as part of US Pacific Command’s theater security package program, the US Pacific Forces announcement says. 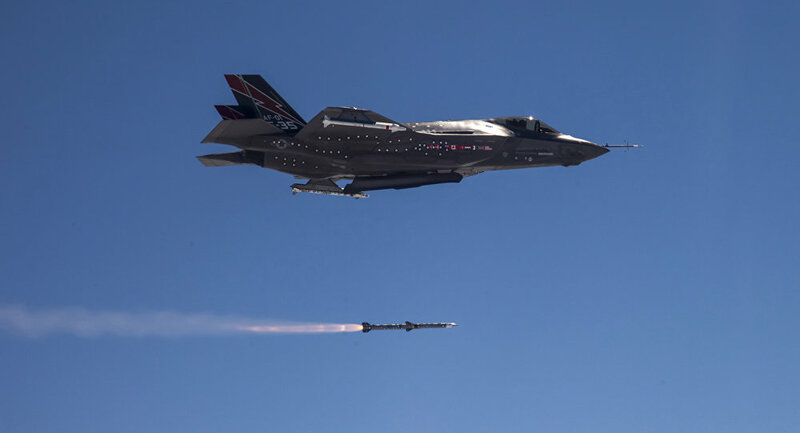 The F-35, the most expensive weapons program in history, “is ideally suited to meet our command’s obligations, and we look forward to integrating it into our training and operations,” said Gen. Terrence O’Shaughnessy, head of US Pacific Command. A pair of F-35s were in Seoul from October 17 to October 22 for the International Aerospace and Defense Exhibition. In June, a pair of US Marine Corps short-takeoff vertical landing (STOVL) F-35Bs landed in Okinawa, but this deployment of 12 F-35As to Okinawa marks the first time the Air Force and export-variant joint strike fighter will be stationed in the region. As many as 100 US, South Korean and Japanese F-35 aircraft will eventually surround North Korea. It remains to been seen, though, how well the aircraft will work over extended periods of time. Years of program delays relating to F-35 maintenance facilities caused “significantly longer repair times” — which in turn have led to “degrading readiness” — according to a Government Accountability Office audit released Monday. The F-35 program is estimated to cost at least $1.5 trillion overall.